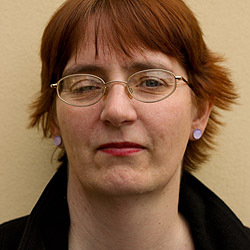 Debbie Moon is the BAFTA-winning creator and lead writer of the CBBC fantasy drama series Wolfblood, which ran for five series and is shown in nearly 60 countries. She has also written for the children’s sci-fi series The Sparticle Mystery, and two 90-minute episodes of the Welsh “Scandi-noir” detective series Hinterland. She is currently writing for Snapper Films’ reimagined Sherlock Holmes, Sherlock North.